Make the celebrations in your life extra special with the fun and warmth of tailored live entertainment. 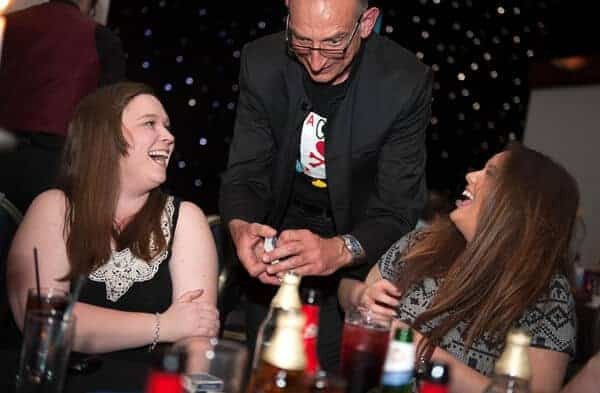 Close up magic is a great way to get guests talking and break the ice. Make your guests feel special with individual tricks designed to mesmerise and delight. Your entertainment can include: fun predictions, champagne appearing out of thin air and items floating before your eyes. Paul’s ability to communicate with all leaves everyone feeling relaxed and entertained. Balloon animals for any little ones are always available. To send your guests home with a memorable gift ask about booking a cartoonist or silhouettist through the Paul Kay Entertainment Company.